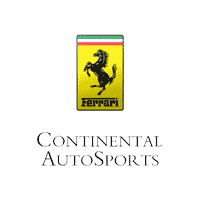 Continental Ferrari has been a family-owned, factory authorized Ferrari Dealer since 1975. With more than 40 years of experience, passion, and expert knowledge of these distinguished Italian marques, we have become second to none in the sports car industry. Continental Ferrari has a beautiful remodeled Ferrari showroom and pre-owned indoor gallery in Chicago, IL. Our latest Ferrari showroom addition includes a configurator to tailor your Ferrari Portofino, 812 Superfast, GTC4Lusso, GTC4Lusso T, 488 GTB, and 488 Spider to your specifications. Our pre-owned gallery hosts a large selection of pre-owned Ferraris, as well as many desired rare vintage collectibles.